God has assured Elijah that he will not be alone. In the midst of all of the wickedness going on in Israel and in the other nations around it, God will preserve 7,000 in Israel who will not bow the knee to Baal nor have kissed him (connected intimately with him). As I said in the previous teaching, 7,000 is a company of people who are sold out for the Lord and His purpose—a faithful remnant. Elijah has not yet completed his work for God. God still has work for Elijah to do. Elijah must leave the darkness of the cave and go where the Lord directs him. He must fix his eyes on God's glory, as we are to fix our eyes upon Jesus, the fullness of God's glory and light. The Lord tells Elijah to “go back the way you came, and go to the desert of Damascus. When you get there, anoint Hazael king over Aram (Syria). Also anoint Jehu son of Nimshi king over Israel, and anoint Elisha son of Shaphat from Abel Meholah to succeed you as prophet.“ 1 Kings 19:15-16 In other words, “return to My Land” and on the way stop in Damascus and anoint Hazael. 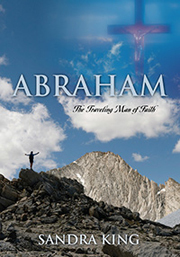 God is steering Elijah back in the right direction – His Promised Land. Note it is a Promised Land given by the promise of God not through Law. Elijah must take the same route through the wilderness that he took to get to Mount Sinai. Elijah had gone backwards to Mount Sinai instead of moving forward with God in God's Promised Land. God must send His prophet forward in the right direction. God does not go backwards but moves forward in His plan of redemption through His Son. Pastor Ed Nelson made an interesting observance regarding the way God spoke to Elijah. These three will always speak in harmony and agreement because they are One. God always has a person set in place to accomplish His purpose. And He always has His representative in place who will speak His Word. God's Word will never die or be silenced totally. It is Eternal. God has three men that He wants Elijah to anoint. God is setting these men in place for His next move – two for judgment and death and one for salvation, blessing and purpose. God will use them all for His plan and purpose. They are divinely commissioned and divinely anointed for what God wants to accomplish through their lives. Hazael – means “God sees.” God told Elijah to anoint Hazael king over Aram (Syria). Hazael was sent by his master king Ben-Hadad to Elisha to seek a remedy for Ben-Hadad's leprosy. Elisha told Hazael that the king would recover, but then started weeping because God showed Elisha that Hazael was going to kill Ben-Hadad so he could become king. Then Hazael would harm the Israelites setting fire to their fortified places, killing their young warriors, dashing their children to the ground and ripping open their pregnant women. (2 Kings 8:12) God was going to use Hazael in judgment over His people who had become wicked under the rule of Ahab and Jezebel. Jesus also wept over what He knew was going to happen to God's city of Jerusalem and His people. Jehu – means “Jehovah is He.” Jehu was a prophet and warrior who became king over Israel. He defeated Ahab and extinguished his kingdom but he was also harsh. God also used Jehu in judgment over His people. Elisha – means “God is Savior.” He was from a village in the territory of Issachar. Elisha will be the disciple (student), companion and successor of the prophet Elijah. He will be the faithful student of his master and teacher Elijah, and will loyally serve him to the end. This is a picture of a faithful Christian who learns from Jesus the Savior and loves, follows and serves Him to the end. Elisha will also slay, but the Word of God will be His sword. It was an honor to be chosen by an “anointed one.” A disciple would sit at the feet of the anointed one and learn from him both through his words and his example. The chosen disciple would leave everything and follow his teacher wherever he went. Jesus, the Anointed One, honored us by choosing us as His disciples and asking us to follow Him. “You did not choose Me; I chose you.” John 15:16 How much greater an honor to be called and chosen to be a disciple of God's chosen and precious Son Jesus! Jesus too told His disciples to leave everything and follow Him. We are chosen and precious in His sight as He is chosen and precious in His Heavenly Father's eyes. (see 1 Peter 2:4-5) Jesus said in John 6:70, “have I not chosen you twelve?” Jesus poured Himself into these twelve men so they could build His temple in the hearts of mankind. Christ's followers viewed His teachings as higher and deeper than the rabbis of His day. They embraced His teachings because Jesus walked out what He taught in His daily life as Elijah did. Elijah will pour himself into Elisha so he can continue the work God had established through him. Jesus was completely committed to discipleship. He came to do only the Father's will and to teach, train and equip disciples who would disciple others to become members in His kingdom. Disciple-makers must be committed, faithful in the Word and trustworthy. All disciple-makers are also disciples because we are always learning. Disciple-makers must be dedicated, disciplined and servant-hearted. They must watch how they live their lives so those who are watching and learning from them will hopefully adopt their growth habits. Jesus lived a life that pleased God. They must also be very careful to rightly-divide His Word of Truth. As Elisha was bound to Elijah, his master and teacher, the Apostle Paul called himself a bondslave of Christ. He was bound to his Master willingly out of love no matter the cost. The price may be high, but the rewards are eternal. The grace, love and truth of Jesus will be outwardly manifested in a heart that lives by the Holy Spirit and submits to the Word/Jesus. When Paul was bound to the Law, he was killing Christians. The Law kills, but the Spirit brings life! When Paul became bound to Jesus, Paul operated in the Holy Spirit of love, grace and truth even in his correction of others. When Elijah found Elisha, he was plowing his father's field getting it ready for seed and harvest. God has to overturn the dirt in our hearts and plant the seed of the Word and the water of the Holy Spirit in our hearts and bring it to maturity so He can use us to bring in the harvest. There were twelve yoke of oxen plowing. Elisha was driving the 12th which was behind all the others so he could watch how they were plowing. Twelve is the number of Divine government. The other 11 were driven by Elisha's laborers. Oxen in scripture symbolize servants or burden-bearers. There were two oxen driving each plow for a total of 24, the number of a double portion of Divine government. This is a picture of Jesus, the Head of God's Divine government, who leads us in establishing God's government on earth. Jesus is the reverse of the Old. He is at the Head who leads us asking us to follow in His ways. He is also the Last who is watching our progress. Jesus sends us out two by two. As there were 24 oxen plowing the field of Elisha's father, there are 24 elders on 24 thrones in Revelation 4:4. These twenty-four symbolize Godly authority in His Divine, spiritual government. Revelation 5:8-9: The four living creatures and the twenty-four elders fell down before the Lamb, each having a harp, and golden bowls full of incense which are the prayers of the saints. And they sang a new song...... Judaism is the gateway to Christianity. God began establishing His earthly kingdom through the 12 sons (tribes) of Jacob/Israel. This scripture in Revelation 5:8-9 takes place in the heavenly realm – spiritual. They are the elders of a spiritual kingdom of those who strive with God in leading and establishing His kingdom. Notice that these 24 fell down before the Lamb. In other words, they worship and praise Jesus. These represent spiritual Israel--God's holy Kingdom of priests and kings--to which the earthly Israel pointed. Jesus is the One who gives the double-portion. He not only became our Savior and Lord by shedding His sinless blood, He also gave us the Holy Spirit to help us learn of Him and establish His Divine spiritual government on earth as it is in heaven. Because of this, those who love and follow Him should do even greater works. Elijah didn't say a word. He just placed his mantle around Elisha. Elisha understood what this meant. Elijah's garment was made of the hairy skin of a camel. John the Baptist also wore a garment of camel's hair. Camels are burden-bearers who can hold lots of water and food for a long journey. This garment distinguished the wearer as a man of God with a prophetic anointing filled with the water and food of the Word of God. It is a humble garment. By casting his prophetic garment onto Elisha, Elijah was imparting the anointing and office of prophet to Elisha and commissioning him. Before Elisha would walk in that prophetic anointing, he must be taught, trained and equipped by his master! Elisha would spend years with Elijah learning from him through both his words and actions before he stepped out into that prophetic anointing. John the Baptist who came in the spirit and power of Elijah didn't cast his mantle upon Jesus because Jesus is the Supreme One and the Supreme Apostle, Prophet, Teacher, Evangelist and Pastor (Shepherd). He is the Anointed One who anoints! Jesus was the prophet Moses predicted and John the Baptist was the one predicted as Elijah. Again, Moses and Elijah are connected in scripture. Jesus fulfilled the role of the prophet spoken of by Moses who was to come, and Elijah as the forerunner. Jesus is God's Supreme Prophet – the very Word of God – and our Forerunner into the very presence of God. (see Hebrews 9:11-16) The Jews expected Elijah to come in person from heaven before the Messiah. John the Baptist came “in the spirit and power of Elijah” – not Elijah himself. (Malachi 4:5-6) The Spirit and power of Elijah was the Holy Spirit. John the Baptist was filled with the Holy Spirit in his mother's womb. Baby Jesus and baby John connected Spirit to Spirit in their mothers' wombs. The "natural" is first and then the "spiritual." God used the "natural" in the Older Testament to point to the "spiritual" in the New through Jesus. John the Baptist was the one who pointed to Christ as the Lamb of God who takes away the sin of the world. John was the forerunner to Christ, as the Law and prophets that John represented was the forerunner that pointed to Christ. Elisha then left his oxen and ran after Elijah, “Let me kiss my father and mother good-bye,” he said, “and I will come with you.” “Go back,” Elijah replied, “what have I done to you?” v20 Elijah wants no delay in Elisha's call to the prophetic office. Nothing is more important in Elisha's life than the call of God. Elijah is challenging Elisha to commit to the call of God on his life. Jesus had a similar incident in Luke 9:57-62. As Jesus and His disciples were walking along, a man came to Jesus and Jesus said, “Follow me.” But the man replied, “Lord, first let me go and bury my father. Jesus said to him, “Let the dead bury their own dead, but you go and proclaim the Kingdom of God.” In other words, let the spiritually dead bury the spiritually dead, but you go and proclaim the Kingdom of LIFE. Another man said, “I will follow you Lord; but first let me go back and say goodbye to my family.” Jesus replied, “No one who puts his hand to the plow and looks back is fit for service in the kingdom of God.” The call of God on our lives and the Kingdom of God must be first in our lives. Elisha nor followers of Christ should take lightly the anointing and gift of God He has so graciously given them. Jesus also told His disciples that they must leave everything including their fathers and mothers to follow Him. There is a cost! Elijah was basically saying to Elisha, “Don't disregard or take lightly what I just did for you in casting my mantle upon you. If you don't understand the honor and commitment I just gave you, then don't come.” Elijah gave Elisha the approval to “go back” but Jesus corrects these two men who came to Him and told them that God and His Kingdom must be first in their lives. They are not to look back and must count the cost! Elisha will sit under the ministry of Elijah. He will serve Elijah, learn from him and be equipped for the prophetic call on his life just as the chosen disciples of Jesus did. Elisha took “the yoke of oxen and slaughtered them.” 1 Kings 19:21 In other words, he shed their blood. Then he burned the plowing equipment to cook the flesh (meat) of the oxen as a sacrifice to God and gave it to the people, and they ate. In other words, Elisha was breaking away from his old life and moving forward into a new, spiritual beginning with God. Elisha used the wood of the plow to burn the flesh of the oxen. This flesh became food and meat for others. Jesus uses the power of the cross and the fire of the Holy Spirit to burn our flesh so we can feed others the bread and meat of the Anointed Word that brings new, spiritual life. The "old" must go so the "new" can come. God wants us to give the food of the Word that has been refined by fire to others.